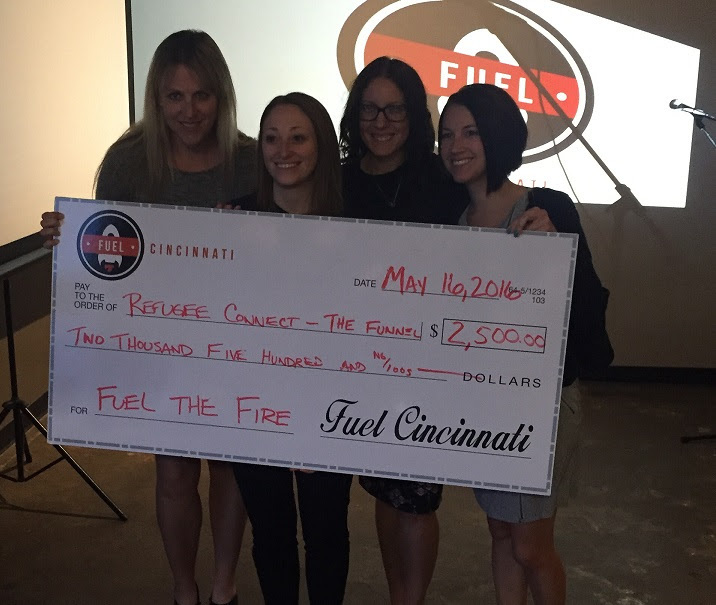 Fuel Cincinnati held its Fifth Annual Fuel the Fire Event on Monday, May 16, 2016. The JLC’s RefugeeConnect won the $2,500 prize for its “The Funnel” presentation. The Funnel provides quarterly training to educate young adults interested in volunteering with refugees and places volunteers with opportunities to serve the refugee community. Finally, congratulations to Sparkle for winning the $500 People’s Choice online voting award. Through a bracelet signifying unity, Sparkle will create a support system for women who have suffered from sexual assault and harassment. Read full newsletter.